This item has been added to your Wishlist! 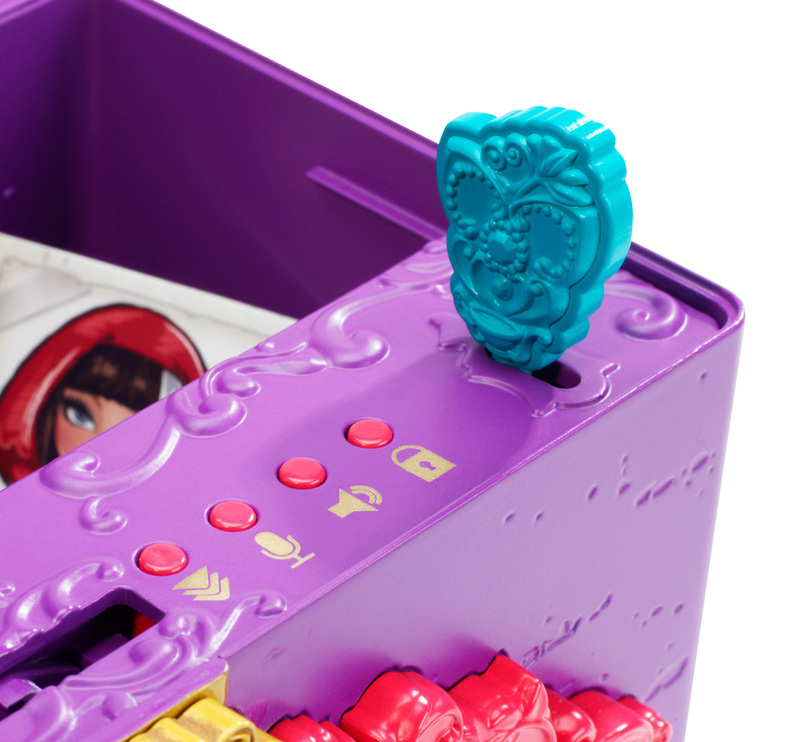 This secret chest is a hexcellent way to store all of a girl’s private mementos! 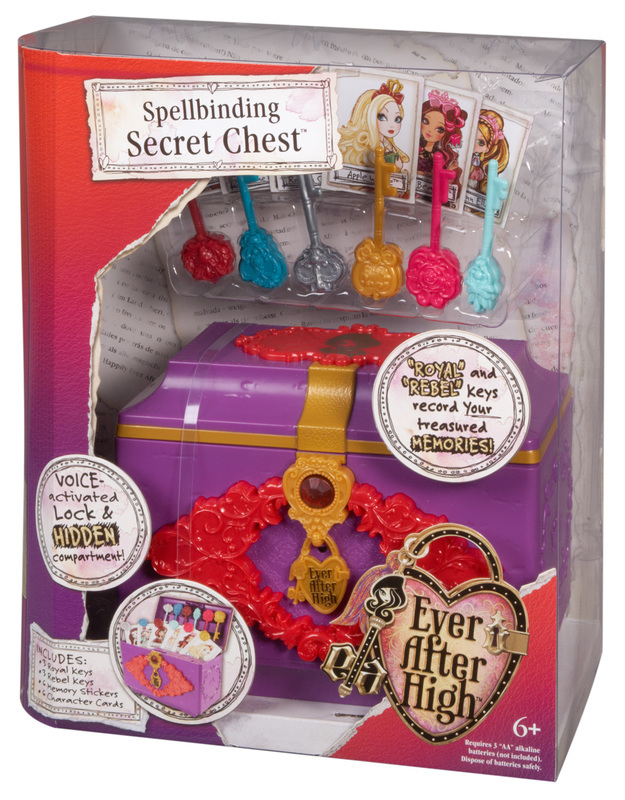 The Ever After High Spellbinding Secret Chest Keepsake Box has ample storage for a girl’s treasured belongings, keeping them safe from pesky siblings. 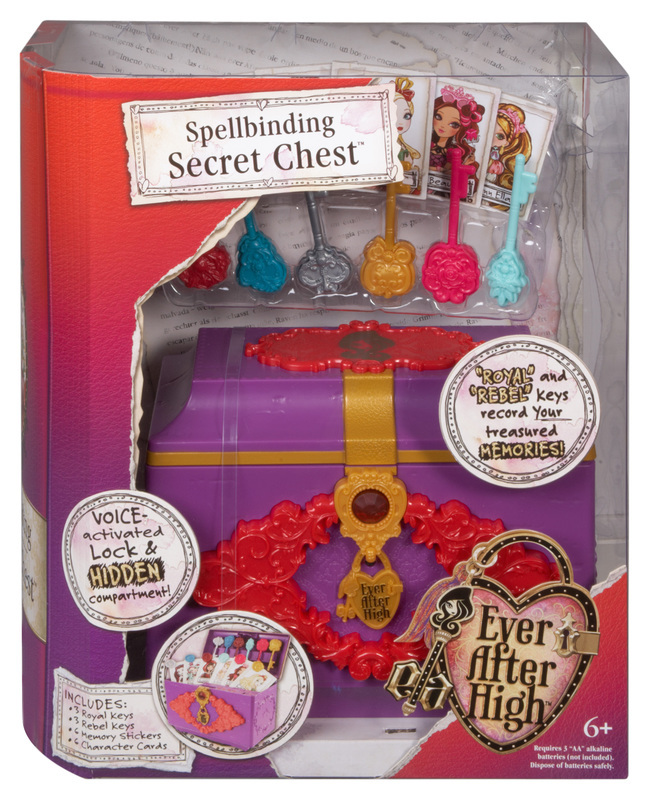 The enchanting treasure box comes with voice-recognition technology so it opens only to your voice and password! Digital memory tagging helps to ensure the special memory behind the cherished items stored inside is never forgotten. Six Ever After High character-themed keys allow girls to record up to six different types of digital memories. Each memory can be inspired by the personality of an Ever After High character and is even prompted in their own voices! Plus, hidden within the box is a secret compartment for extra-special mementos. It’s a completely spelltacular way to protect your stuff from prying eyes! Ages 6 and up. 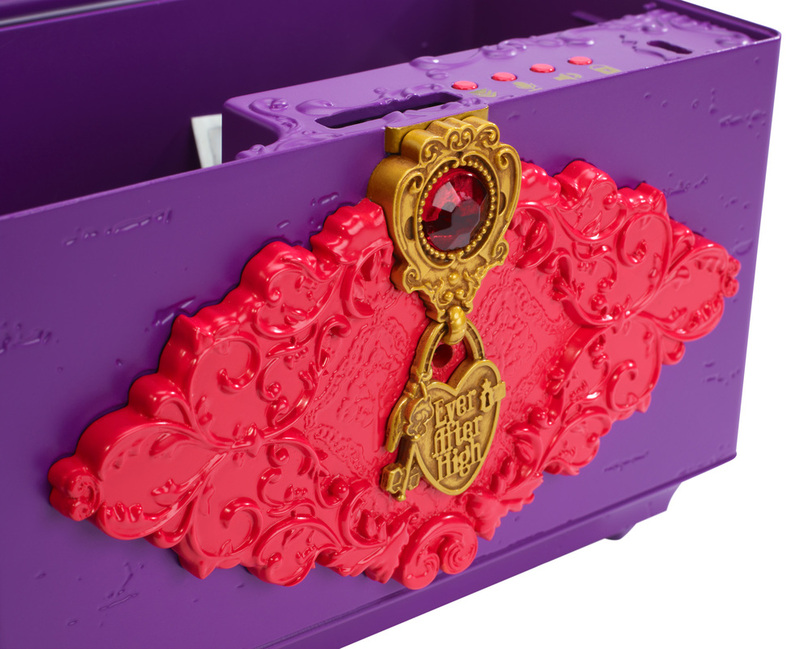 Protect your stuff from prying eyes with this secret chest inspired by Ever After High. The voice-activated lock opens only to your voice! Provides ample storage space for treasured mementos, plus a second secret compartment is hidden inside! 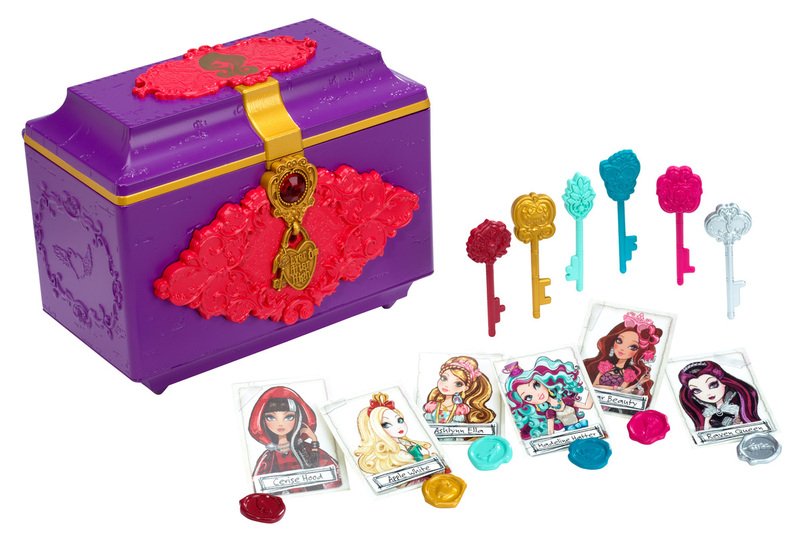 Digital memory recording with 6 Ever After High memory keys and matching stickers help ensure the memories behind the treasured items are never forgotten. Keys activate prompts in characters’ voices. 6 Ever After High character cards offer additional unique content. Browse the Shop page. Click the check mark when you find items you love! You are leaving EverAfterHigh.com to visit another website intended for adults. Get the gifts you want when you share your Wishlist. The page you are looking for can only be viewed from your home computer or tablet.